Call our 24/7 customer care operators for a fast and totally no cost offer for our end of tenancy cleaning service. A staff of knowledgeable specialists will arrive at your property or home after you have moved out your belongings, and will start cleaning any area from top to bottom in compliance to the pre-accepted tenancy cleaning checklist. There is no time frame for this specific service, so each of our crew of cleaning employees will remain until every single deep cleaning job has been completed and inspected the cleaning checklist. They have all the machines, tools and cleaning solutions required to supply a good quality one off cleaning service. We offer you a forty eight customer satisfaction guarantee for this specific cleaning service, so if you are a property owner or property manager and you may have a problem, we will come back and re-clean the property or home absolutely free! Excellent Carpet Cleaning is an expert in offering a highly efficient professional deposit back cleaning service, suitable for all persons and companies in Vauxhall SE11. We have over a decade of experience in offering a excellent guaranteed move in and out cleaning service. The experience with renters, property owners, agencies and people who are purchasing or selling a property or home has permitted us to create a specific tenancy cleaning register, which has been accepted by a wide variety of landlords and estate agencies in the region. 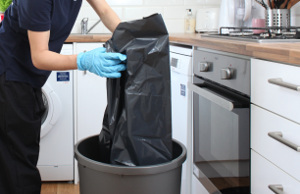 If the property or home is not cleaned effectively, the house owner or manager may possibly withhold part of all of your tenancy deposit for cleaning charges. We understand what they are expecting, and we are available to clean any kind of property or home to meet their goals, and to ensure that you receive your bond back. The end of lease cleaning company has the essential means to accomplish this, such as: a well trained and professional cleaning employees, all professional cleaning equipment, devices and methods necessary, along with qualified and risk-free specialized cleaning detergents. To make certain that no cash is withheld for cleaning prices by your landlord, reserve our expert and high quality guaranteed end of tenancy cleaning service right away! Call 020 3404 0500 or send us an online request utilizing the contact form right here. The client care team is available for you 24/7. You will receive affirmation in 2 hours. There is no deposit required for reservation. The price is fixed, with no hidden fees. We are able to do an urgent situation, same-day end of tenancy cleaning. In any other case, we are accessible twelve months annually. The earlier you book our service - the better the rate will be!